New device, called Easy Read, helps visually impaired to read text with ease, to be ergonomic. The designer could design a better handle and organize the placement of buttons in such a way as to make use of the device as simple as possible. Thus he was able to solve the problem of wrist pain that occurs with prolonged using the loupe. Designer also decided problem of price, which ranges from several hundred to a couple thousand dollars.He has made several technological adjustments, in a result of which has turned a sleek gadget that can be used with almost any man. 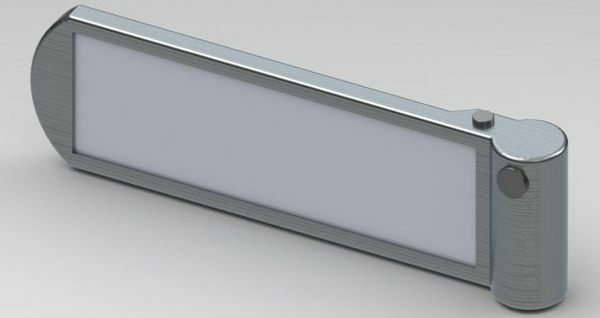 The new device has a body made of aluminum, an elongated display allowing completely withdraw the sentence from the text, which makes it easier to read. Easy Read doesn’t need batteries because of that recharge.